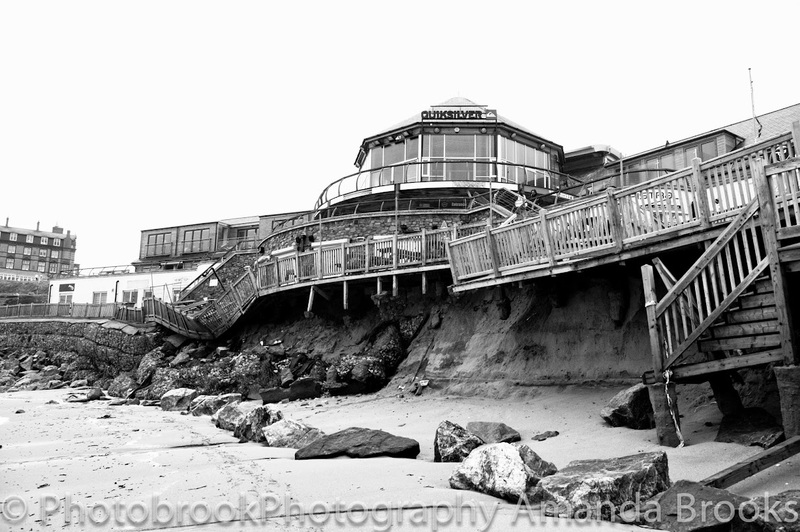 Photobrook Photography: Bank Holiday Wash out in Cornwall, torential rain and sever weather warnings sweep the county. Bank Holiday Wash out in Cornwall, torential rain and sever weather warnings sweep the county. Looking out the front door this afternoon at the rain pouring and funneling off the roof i can't help but feel sorry for all the tourists that have come down to Cornwall for the August bank holiday. It's a little different when you live in Cornwall as you find yourself living by the forecast. If the suns out all plans get cancelled and it's off to the beach to make the most of the weather. But when it rains it's time to stay in and cook and clean in the house. Once the rain had eased i decided to pop into Newqauy to go to the shops to get something nice for tea..... the original plan to go camping tonight in the pouring rain has kinda fallen by the wayside. Whilst driving through Porth in Newquay i noticed the beach car park completely flooded. On bank holiday weekend this car park should be full with crowds enjoying the wonderful beach, but with today's weather there was just one loan car and a lot of water! The river running through Porth and onto the beach was a muddy torrent of water pouring across the beach with just two loan people with an umbrella walking on the beach with their dog. Just one of many bins i saw in Newqauy today full of umbrellas, not to mention some left on the beach and even one in the middle of the main road. Today seamed more like a winters day than a summer bank holiday but lets just hope that tomorrows promised sunshine turns up and makes up for today. Olmpic fever strikes small cornish village.